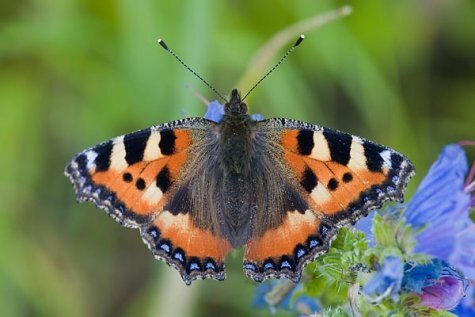 The offspring of the small tortoiseshells that spent the winter as butterflies, and then predicted us a “colourful summer“ in early spring can now be seen in large numbers. It is one of the most common butterflies both in Estonia and in Europe. The newly-hatched butterflies are of course more colourful than those who survived the winter as imagos somewhere. The yellow patches on the forewings are brighter now; on the winterers the yellow has faded to almost white. Now a couple of generations will still flitter around until late autumn, when the last ones search for a suitable wintering spot.